Blessingbourne Apartments are grouped around a 300 year old courtyard beside the stately main Manor House which stands in 550 acres of beautiful grounds on the edge of the Fermanagh Lakelands. These family friendly apartments have a range of different sleeping options ranging from 2-5 people. 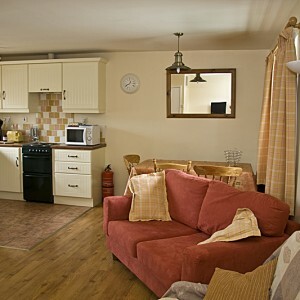 They are tastefully decorated with lots of local craft and art work and home from home comforts. Arriving visitors find homemade wheaten bread, jam and shortbread. Owners Nick and Colleen Lowry welcome children who can run around without a care in the world and enjoy the freedom of Blessingbourne. We know you love to bring your pets on holiday so they are very welcome.. We have had everything from a hamster to a horse enjoy the freedom of Blessingbourne. We offer a doggy paradise. 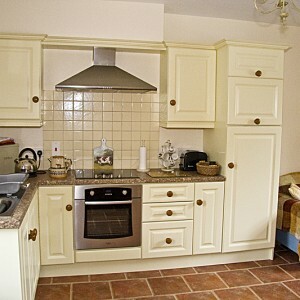 Enjoy the finest country comforts in the award winning four star self-catering apartments at Blessingbourne Estate in the beautiful scenic Clogher Valley. The luxurious cottage-style interiors of the courtyard apartments boast all modern conveniences to ensure the highest levels of comfort. The estate offers its own special brand of hands-on hospitality: guests are made to feel relaxed and totally at home.